We have 5 euro clay courts ready for all year round use. These can be used by members but are available for anyone to play on a casual basis. When it comes to tennis we have the whole package! 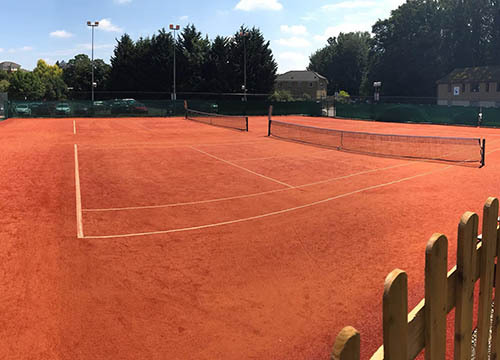 Freedom Leisure has recently invested £120,000 into refurbishing all five tennis courts with a new Euroclay synthetic clay surface. The courts provide a first class tennis experience for both members and casual users and all tennis court users can make full use of the facilities such as changing rooms, showers and our cafe and bar. These courts have also had new floodlights fitted so playing in the evenings is not an issue. During the winter months four of the courts are covered by a bubble so all year round play is possible. 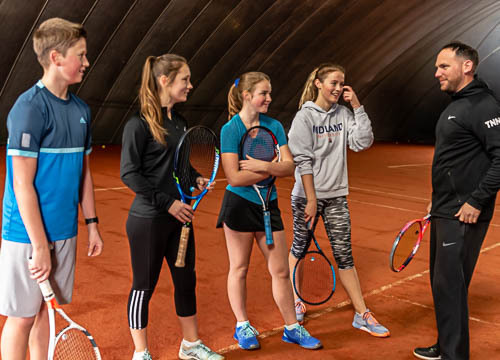 For those who would like coaching or if you are a more advanced player looking to play competitively, Maidstone tennis academy are our resident club (see more below). We have a range of memberships on offer that include tennis with single and joint options available. Becoming a member could work out more affordable if you are looking to use the club regularly. Our full membership not only includes tennis but also gym, swimming and group exercise! Members also benefit from priority booking, so if you are looking for a regular tennis slot each week or want to make sure that you get into your favourite class, then a membership is for you! You don't have to be a member to play tennis at Maidstone! The new courts are some of the best in the south east let alone Kent. Well worth the money and well done for the investment. Maidstone tennis academy are our resident tennis club and provide coaching for all ages and abilities. They have been running for over 15 years and have introduced thousands of children and adults to the game! The academy provides all coaching here at Maidstone for children aged 4 up to adults. Get in touch if you are interested. What area are you enquiring about?